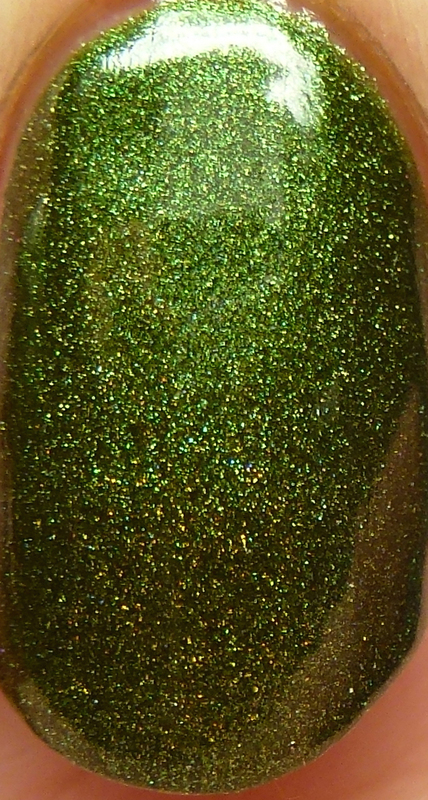 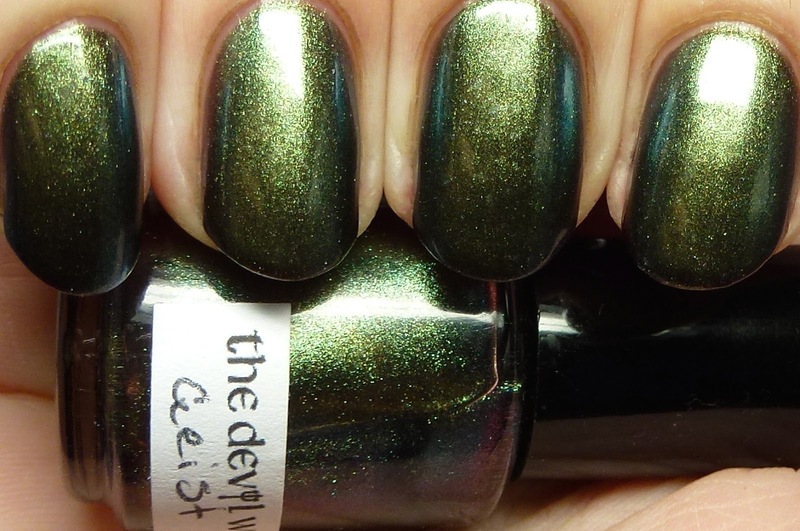 Geist is a shimmer polish with green-to-blue shift and brown undertones. 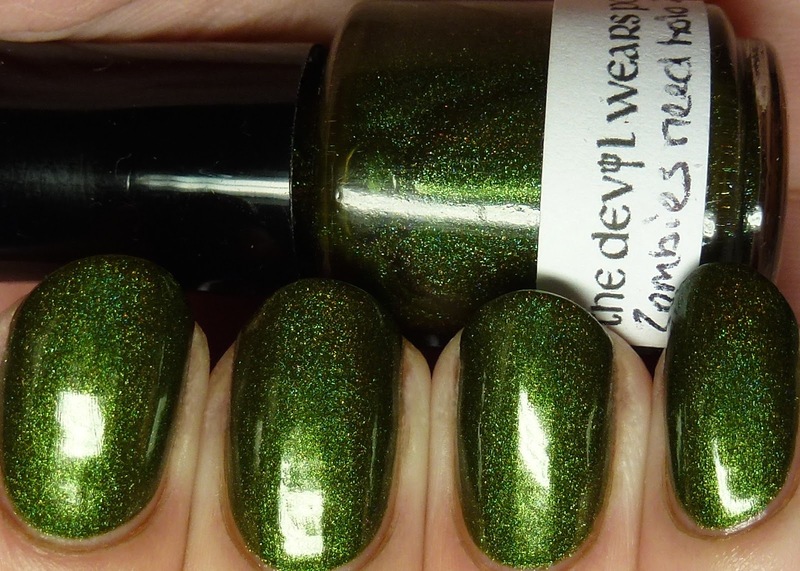 This had a perfect, quick-dry formula and I'm wearing it here in four thin coats. 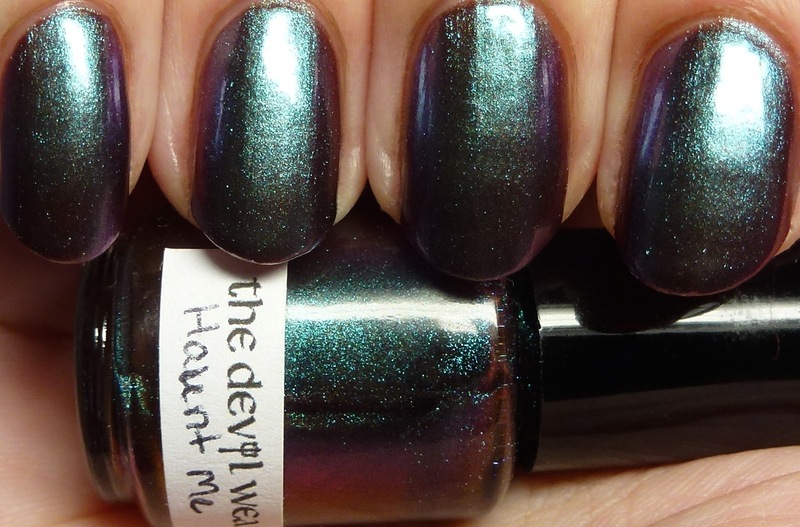 Haunt Me is similar to Geist, but with a blue-to-magenta shift. 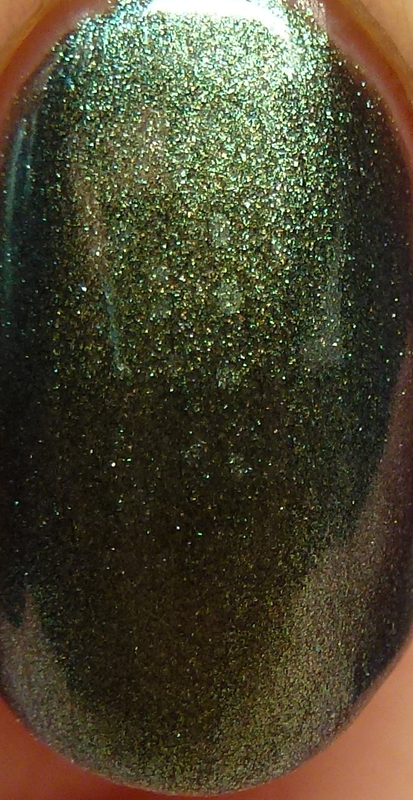 Again, perfect formula and worn here with three thin coats. 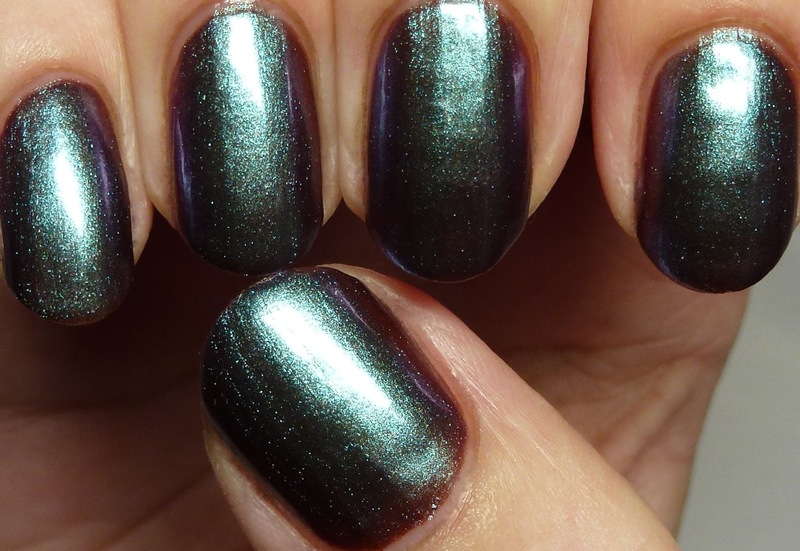 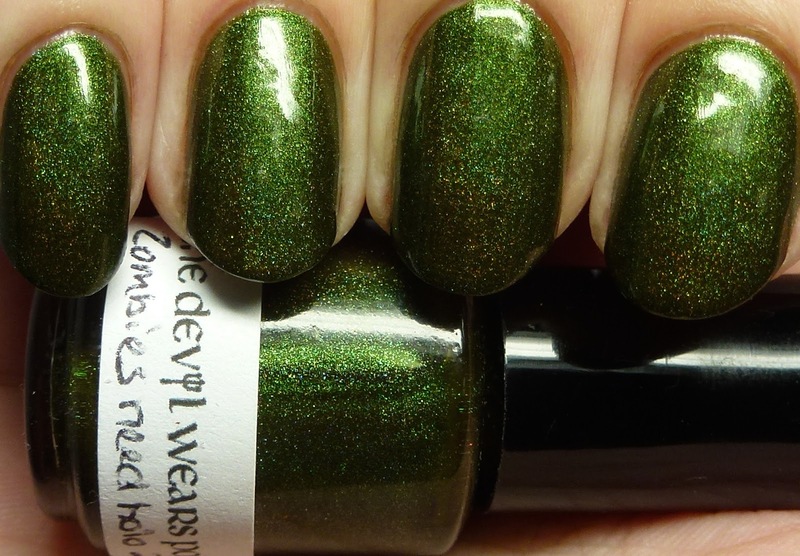 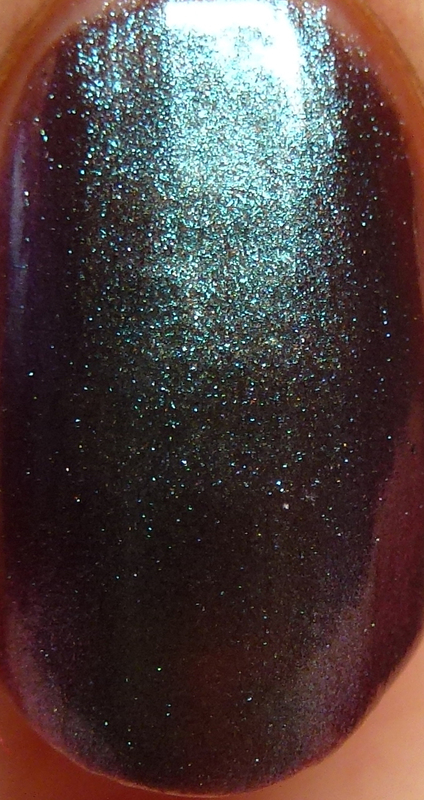 Zombies Need Holo 2 is a reformulated version of a previous polish and it is spectacular. 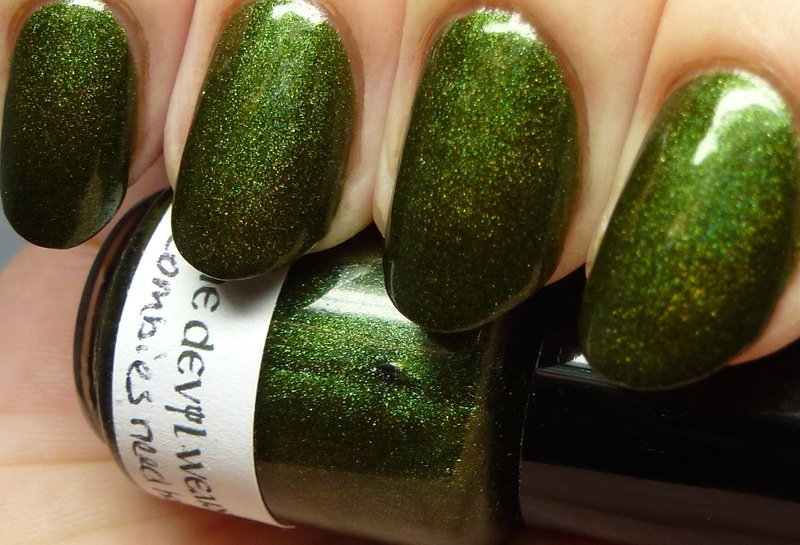 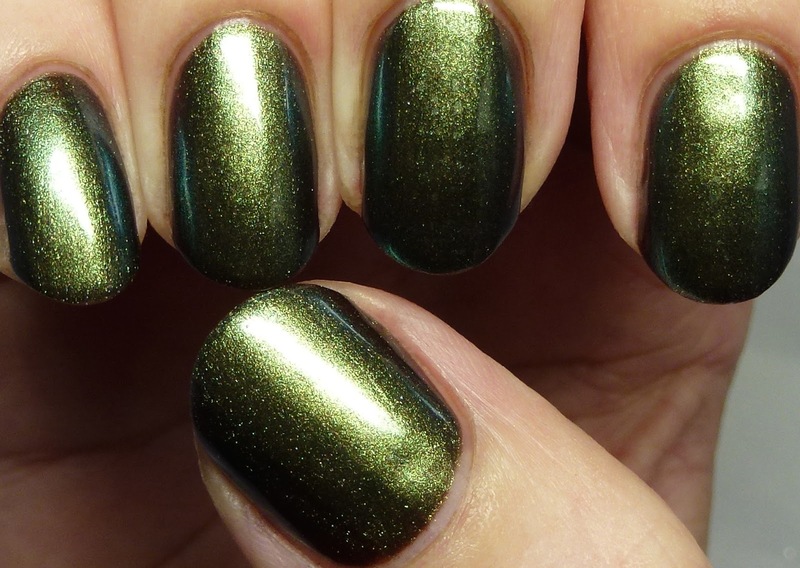 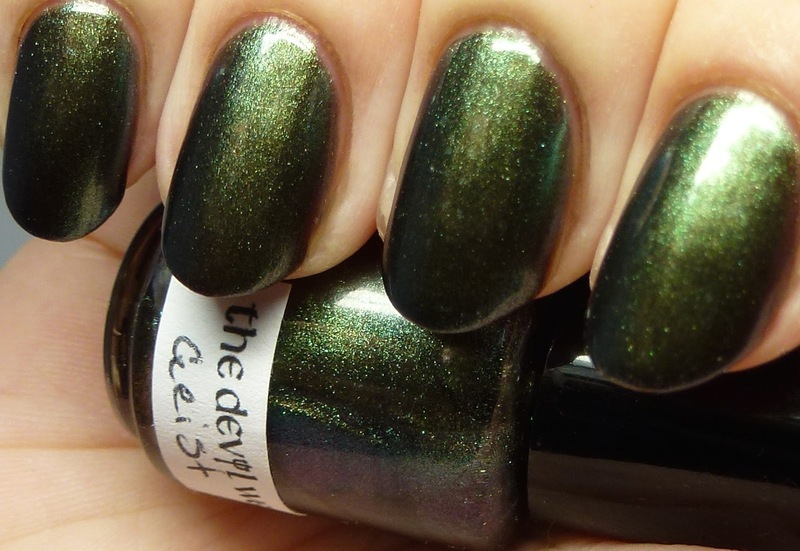 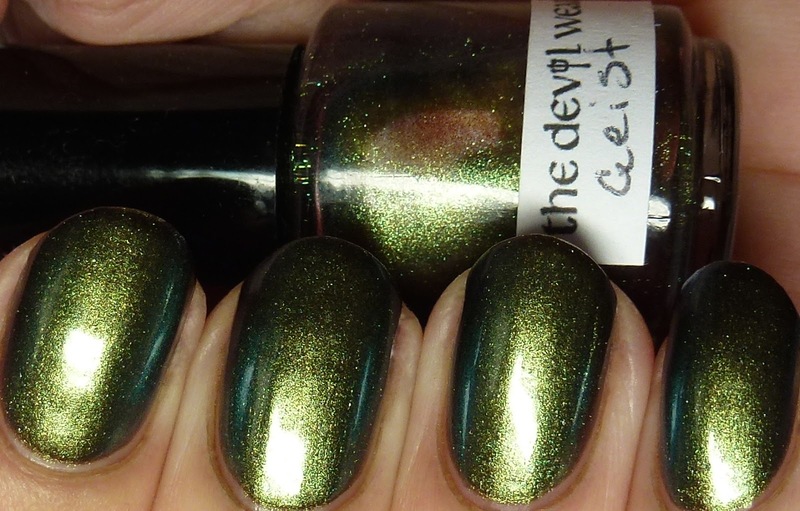 This is a sophisticated avocado green shimmer holo with wonderful richness and depth. 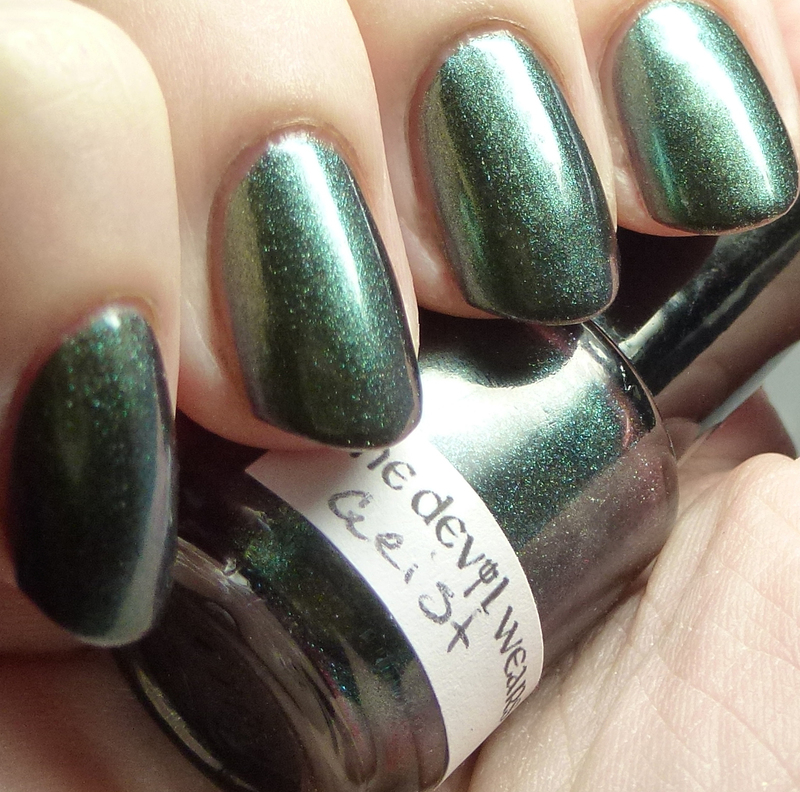 I wore it with three thin coats and again, perfect formula. 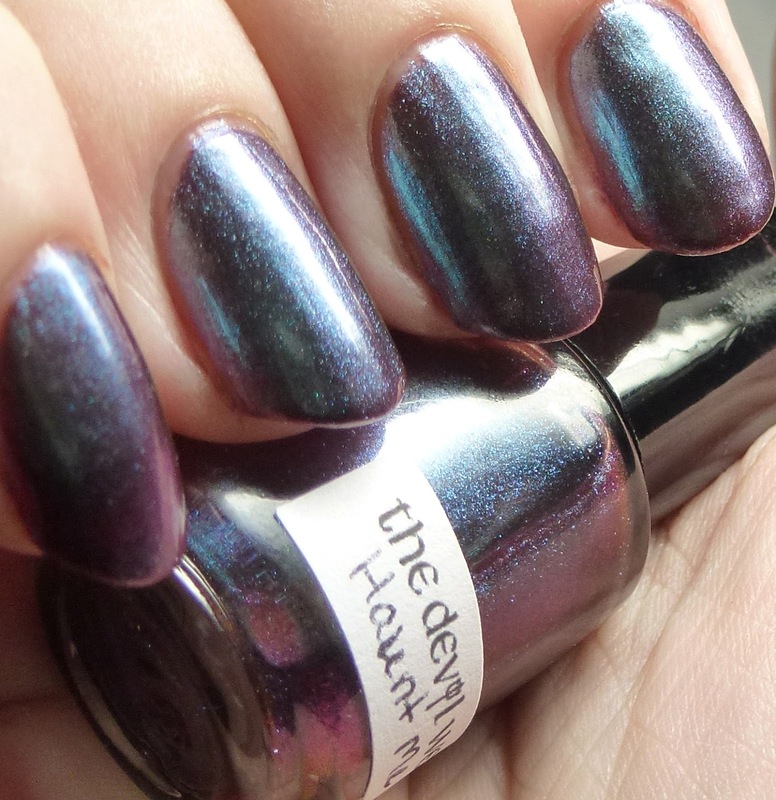 Hope you enjoyed Halloween in January. 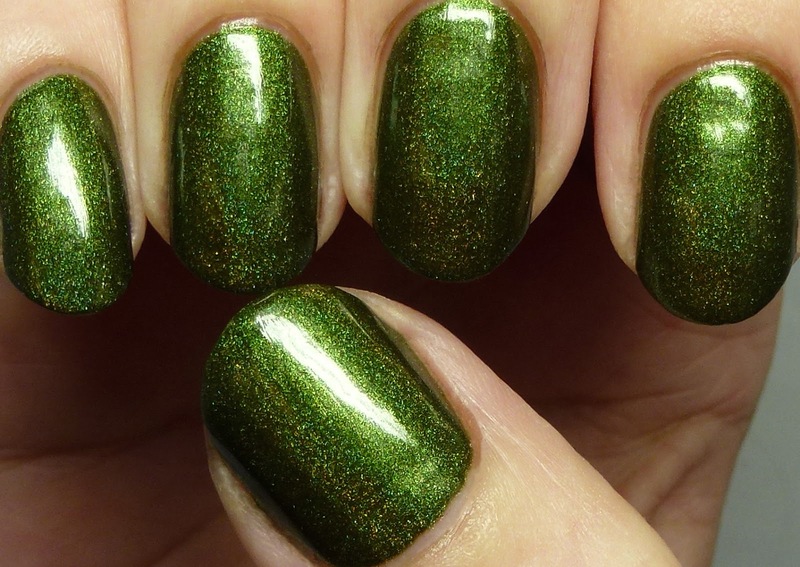 I would lobby for every month to have wonderful greens, browns, and duochromes like this, hehe!